This error often occurs because of remnants left over from an installation of Google Chrome. Follow these steps to resolve it. Before attempting this procedure, try setting Internet Explorer back to the default web browser using the 'Default Programs' options in Control Panel. 1. Click on the Start circle in the bottom left corner of the screen. 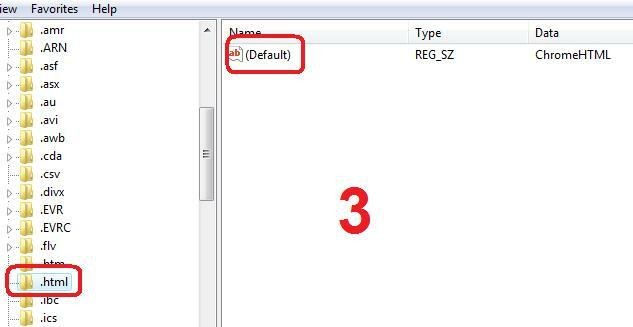 Click inside the white space at the bottom of the menu that appears and type regedit. If a warning message appears, click on 'Continue' or 'Yes' to proceed. 2. A new window will appear with a folder-like structure on the left. 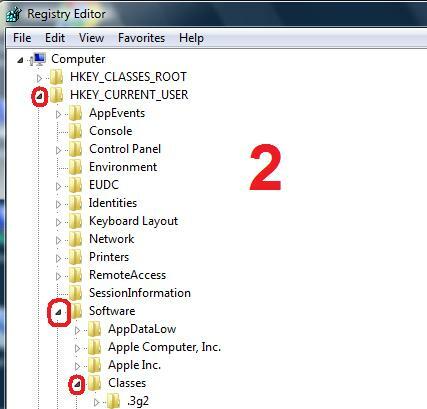 Click the arrow next to HKEY_CURRENT_USER, then the arrow next to Software, then the arrow next to 'Classes'. 3. 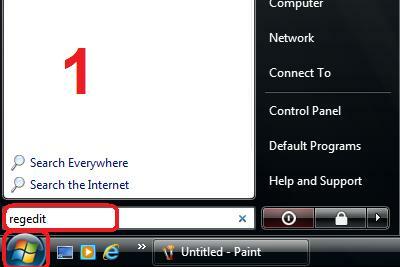 Scroll down and click on the item marked .html, then double click on (Default) in the right of the window. 4. A new panel will appear. 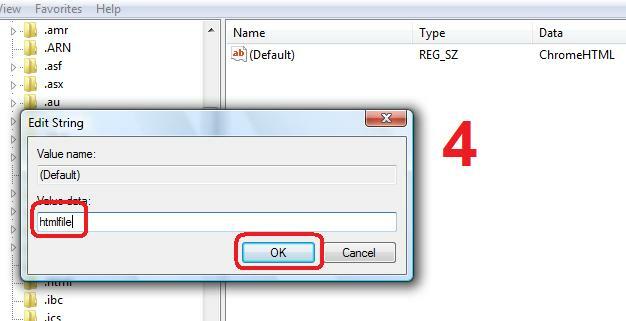 Delete the text in the Value Data box, replace it with htmlfile and then click on OK.
5. Click the cross in the top right corner of the screen to return to the desktop. Shut the computer down and turn it back on again to complete the process.